*The 1 hour of Minnesota law is required even for those who have completed CE prior to Aug 1, 2018. 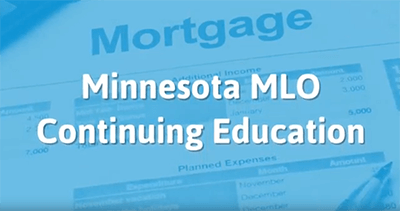 This new course covers the 1 hour state requirement from the NMLS, so it's just what you want to meet your continuing education needs. In it, we'll go through topics such as mortgage loan originator licensing, enforcement authority, advertising standards, prohibited marketing practices, net tangible benefits, and more.